Expression of CD3 on a mature B cell neoplasm, such as diffuse large B cell lymphoma (DLBCL), is extremely rare. When it is present, it will cause diagnostic confusion since the classification of lymphoid neoplasms is largely based on immunophenotyping to determine the cell lineage. We report three cases of DLBCL with CD3 and other T cell-associated antigens. A literature search identifies 30 additional cases of DLBCL expressing CD3, with the majority (78.6 %) displaying cytoplasmic expression, while two of our cases demonstrate membranous staining. Additionally, expression of CD3 tends to be partial and weak in both our series and the reported cases. Of the 28 cases reported in the literature that were tested for Epstein Barr Virus (EBV), 16 (57.1 %) are positive, suggesting an important role of EBV in promoting lineage ambiguity/infidelity, whereas, all three cases in our series are negative for the virus. All three cases in our series show homogeneous expression of multiple B cell specific antigens, while the reported cases show variable expression with some having B cell antigens downregulated, particularly in those cases with EBV association or anaplastic morphology. 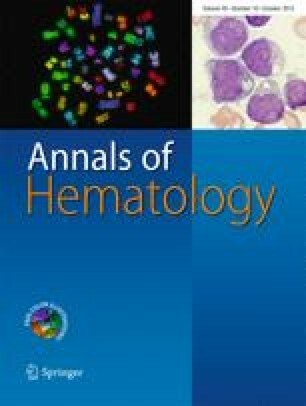 A low threshold for testing EBV status is advocated in DLBCL with phenotypic ambiguity along with panels of immunohistochemical stains and B/T cell receptor gene rearrangement analysis. We thank Duke University histology laboratories for performing immunohistochemical stains and Steven R. Conlon at Duke University Medical Center for his technical assistance with the images of histopathology.